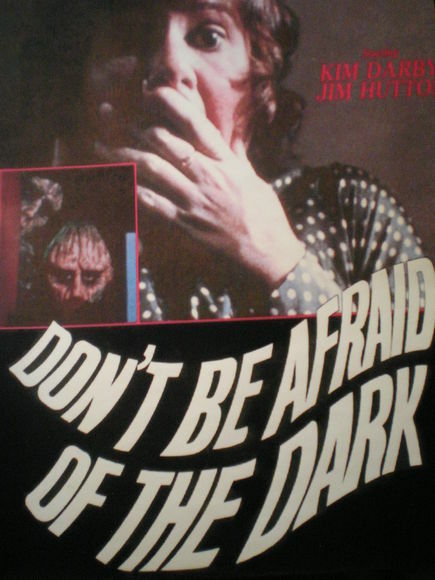 Don’t Be Afraid of 70’s Made for TV Movies ..
You remember that old Tv movie from the 70’s “Don’t be Afraid of the Dark”?? No? Well I do and it was pretty creepy-apparently Guillermo del Toro thought so too as he’s producing the upcoming….yeah…you guessed it…REMAKE! Well I have to say I trust ol’ Guillermo with my movies as he’s pretty much never let me down. It seems from the preview too that this one is going to be worth checking out! here’s the original-the orginal still seems to me-more creepy!! Saw this trailer in the theater it freaked me out! Track down that 70’s movie-it’s actually pretty dang good! Marvel’s Avengers Movie From 1952! !